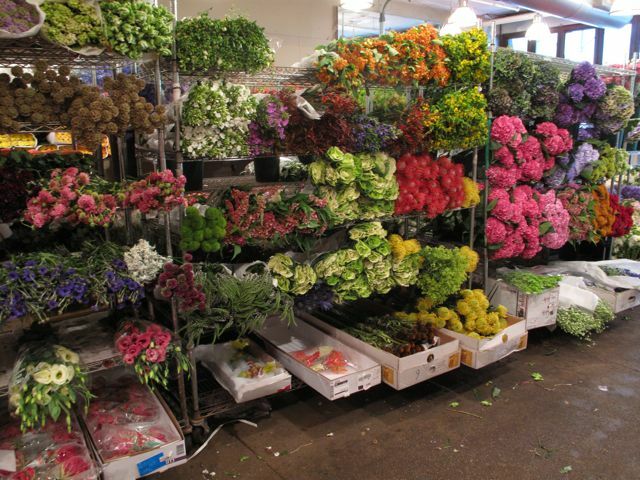 I visited the wholesale flower district this morning, in a very bleary eyed state. 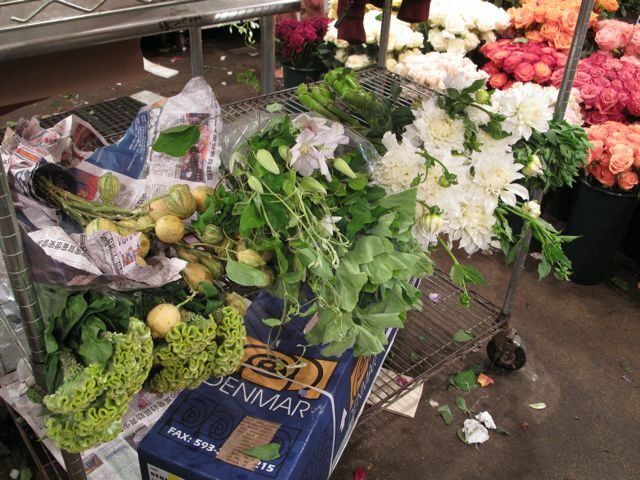 And I bought A LOT of flowers. Here I have (from left) cockscomb celosia, variegated “watermelon” lemons, clematis, geranium leaves, dahlias, and mint. Can’t wait to see the arrangement.